To make Austin the healthiest, fittest city in the US. 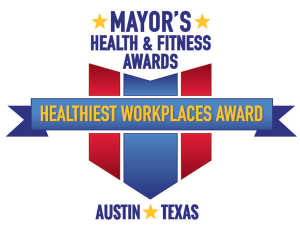 Organizations seeking MHFC Partner Certification & to be entered into the Mayor’s Healthiest Workplace awards must complete the following online application and submit supporting documentation. For program details, visit the Get Certified & Mayor’s Healthiest Workplace pages of this site. A PDF version of the MHFC Partner Certification application and Mayor’s Healthiest Workplace application are available for your convenience. The online application will allow you to “Save and Return” as needed. A link to the application will be provided to you via email. Your online application will only be accessible to MHFC once it has been submitted (i.e. incomplete applications cannot be accessed by MHFC). © 2019 Mayor's Health & Fitness Council. All rights reserved.